For every writer, from a beginner to a professional, writing a book is all about collecting and generating ideas from your head and releasing them on a paper. If you're struggling with these two, you came to the right article. Of course, getting an idea for a book might take a while, but a few steps below can help you to start moving forward. Ideas can be found while doing work, household chores, visiting your friend's house, or, in other words, everywhere, you just need to know the limit and don't accidentally get into someone's private life. For instance, you can write about your Aunt Edna who was always acting suspiciously private. There was one huge and unclear reason why she didn't let her relatives and even her husband into her room! That's when Harry McCoy discovered than his sweet, kind, and mysterious Aunt Edna was a CIA agent. Maybe you just don't want to write? You can sit all day, relax, or do your everyday stuff and wait for the idea to appear in your mind by itself. The first step is very important, so start to write and see ideas coming to your head right away. You think how your favorite writer is getting his ideas? Try to be a restless detective who is trying to catch a serious serial killer by finding clues, a guy who is trying to find his glasses in a dark room, or whoever whose role can boost your imagination. If you like to play computer games, you can try to find ideas in video gaming industry. For example, maybe a protagonist is a professional video gamer and once, he was swallowed straight into a computer monitor where further actions will take place... Try everything and be creative! If you want ideas to appear in your head, ask yourself questions. Where? When? What if...? Does it make sense? Write down your answers, put them together, and extend them into a full, complex story. Write all your ideas on a paper to have a visual aid and start combining them in your head and playing around with different situations. You don't need a plan! Write down literally everything that comes to your mind. Be inspired by own your ideas. Profit! Write until you feel that you cannot continue. Stop and take a break from the work. Read again what you've just written. Edit it and shape it a little bit for it to look more like a real piece of writing. Then inspiration should hit again and soon you'll find yourself in the writing flow. Writing a book is a truly time-consuming and complicated process. It needs some inspiration and skills to move step by step till the last written page. 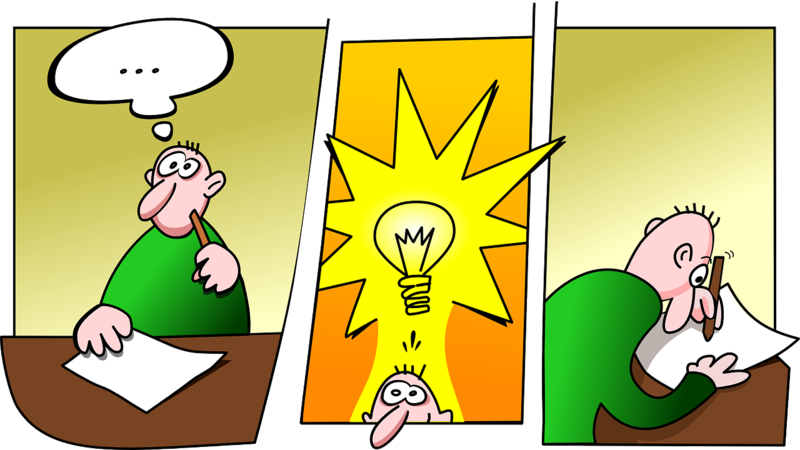 Hopefully, this article was pretty helpful and in case you had some troubles with conducting an idea for a book, now you know what to do.